I have been playing around with ideas of making cold connection jewelry and I must say I love it. :D The recent few commissioned pieces have adopted my new jewelry making preference (i.e. cold connection) and here's one of them. 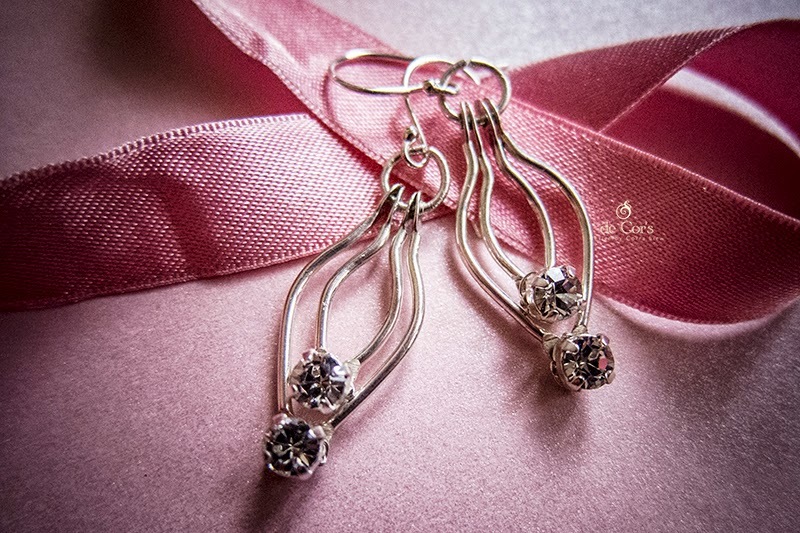 The initial idea was to have 3 stones connected, those stones are Swarovski 4mm Chaton Montees. 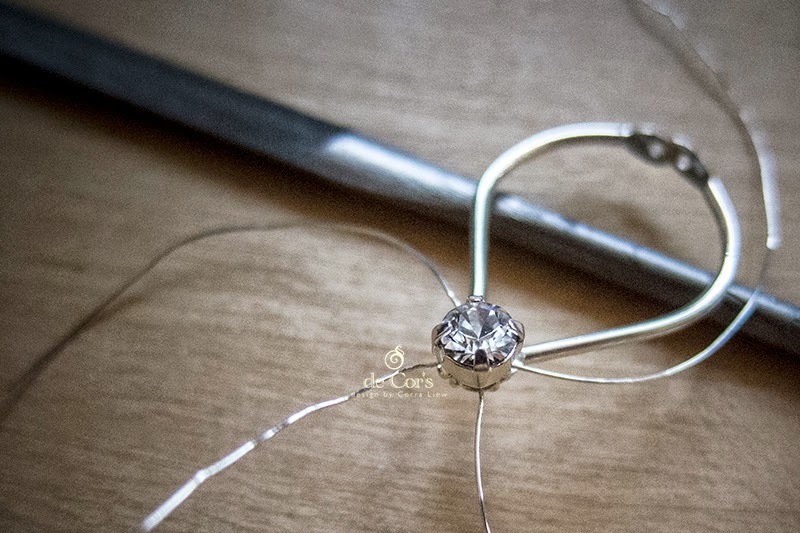 The above picture shows the 4mm Swarovski Chaton Montees being set onto the wires by utilizing very minimal frame area to deliver a tiny and neat outcome. Then the three stones idea didn't work out quite well (i will try again in the next attempt! 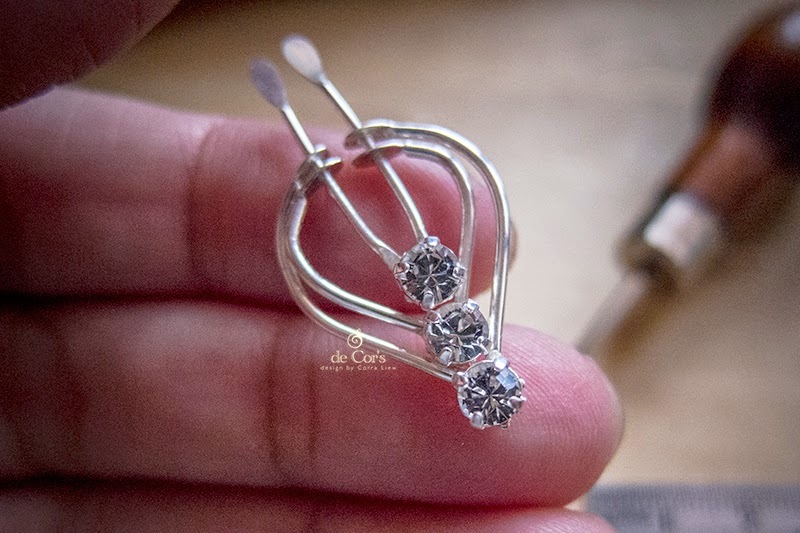 ), the finalized pieces have got 2 stones on each side of the earrings.